Yesterday we reported that during the course of the hand recount, election officials in Wisconsin were discovering votes that the counting machines had originally missed. One of the designated recount observers shared this information directly with Palmer Report. Now we have visual evidence of why those ballots weren’t counted by the machines to begin with. Although there are ethical uncertainties as to whether recount observers are allowed to publicly post photos of actual ballots that have been flagged during the hand recount, the observer (Karen Fehlker) has filled out a pair of sample ballots in a manner identical to how she’s observed first-hand that various individuals have filled out their real Wisconsin ballots. 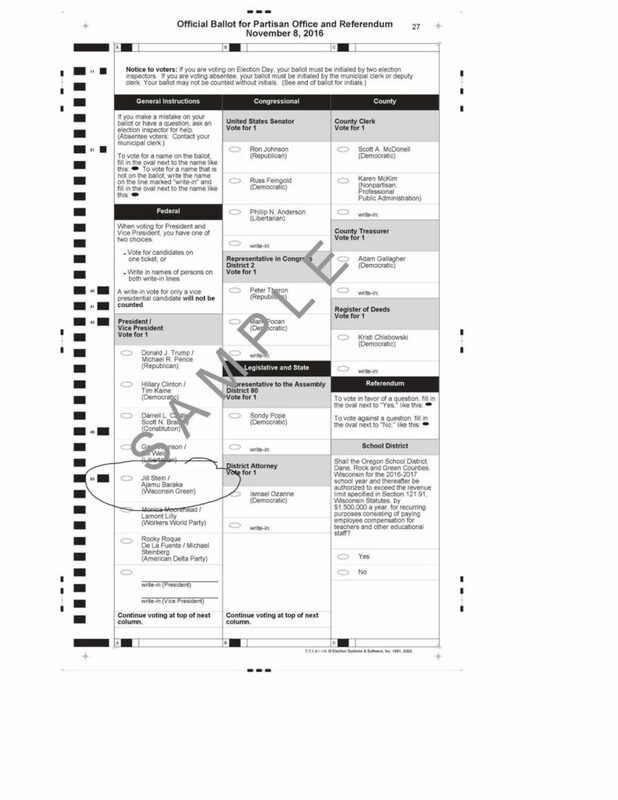 Due to the confusing wording of the ballots, which state “Vote for candidates on one ticket” and then on the next line state “Write in the names of persons on both write-in lines,” some voters apparently thought they were being given the option of writing in the name of their preferred major party ticket instead of filling the oval. Again, these are sample ballots which have been filled out by the recount observer for illustrative purposes, in a manner identical to real ballots she’s observed during the hand recount, which she has provided directly to Palmer Report. 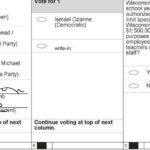 As this observer is only working the Dane County recount, it’s not yet known how many irregularly marked ballots are being identified statewide. Nor is it known which candidate may be benefiting the most from these ballots. But it is becoming increasingly clear that the original machine-counted vote totals in Wisconsin were indeed incorrect.